Intel has announced its latest high end processor, the Intel Core i& Extreme Edition and it features 10 cores and will cost $1,700. The Intel Core i7 Extreme Edition has 10 cores with speed of up to 3.5GHz, it also comes with Intel’s Turbo Boost technology. What about the immersive experiences of virtual reality? The Intel Core i7 processor Extreme Edition delivers a fantastic experience with Oculus Rift* and HTC Vive*, with more than enough room to spare. So whether gaming or creating in VR environments, gamers and enthusiasts can count on the most vivid, immersive or realistic experiences possible now – and be ready for what’s to come. But gamers aren’t the only ones who need amazing performance. It’s never been easier to capture ultra hi-def video from phones and cameras, but creating and editing a film or video from all that raw 4K footage is a complex, processing-intensive endeavor. With the Intel Core i7 processor Extreme Edition, professional and novice filmmakers alike can edit in native 4K, create stunning visual effects and compose music on a system that’s up to the task. With up to 10 cores and 20 threads of performance, it’s possible to work on virtually every aspect of a project simultaneously. Here, mega-tasking means staying in the groove without the system becoming a roadblock. 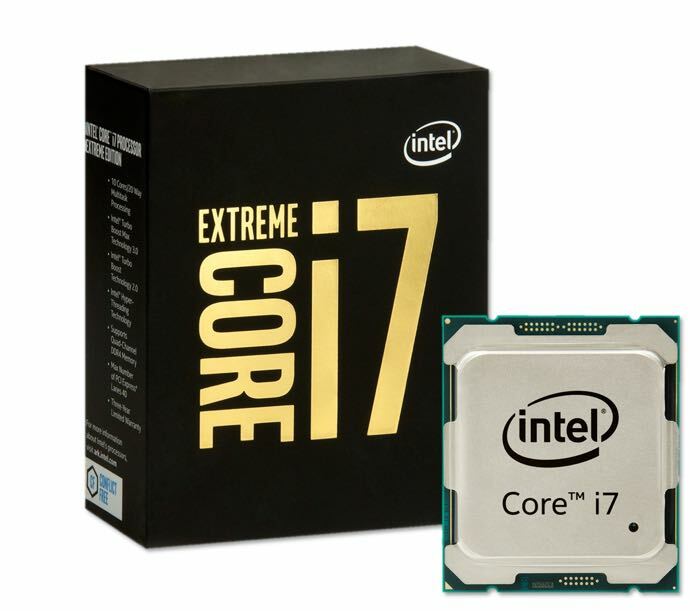 You can find out more details about the new Intel Core i7 Extreme Edition processor over at Intel at the link below, it will retail for around $1,700.